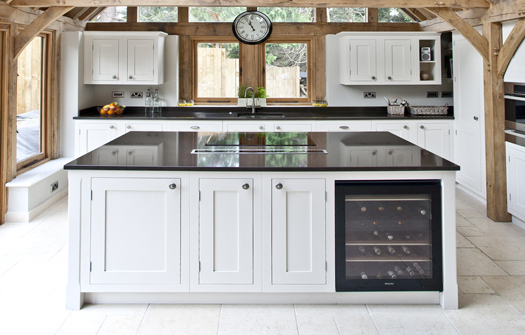 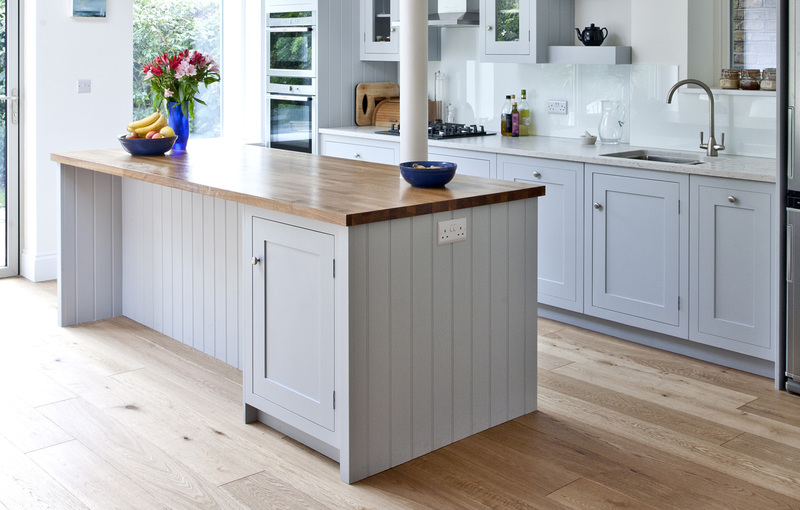 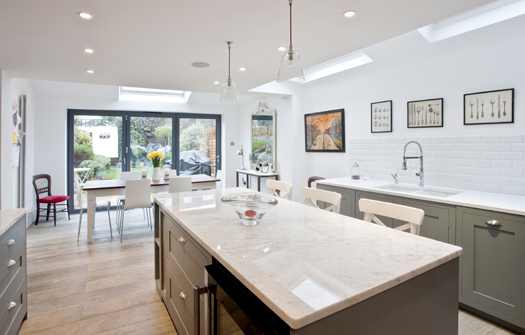 The simplicity of design in Shaker kitchens is showcased beautifully in this stylish kitchen. 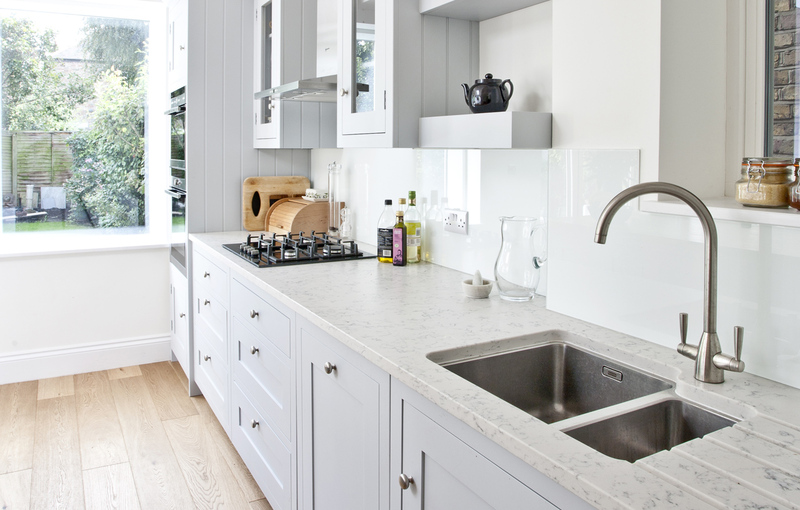 Light grey tones add a touch of sophistication to the classically-proportioned doors and the combination of neutral and wooden worktops adds to the warmth of this stylish Shaker kitchen. 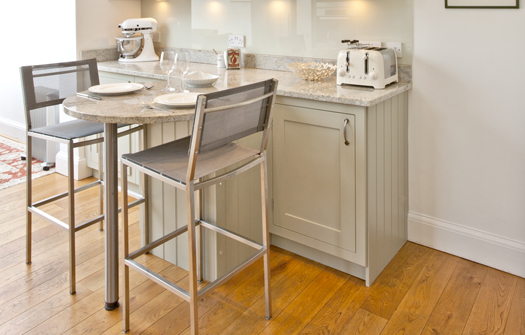 The room has natural wood flooring throughout which flows softly around the painted grey units. 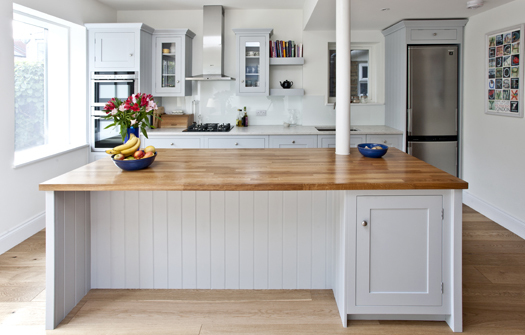 The beauty of the overall design is that it cleverly combines elements of a galley-style kitchen with the flexibility of a statement island. 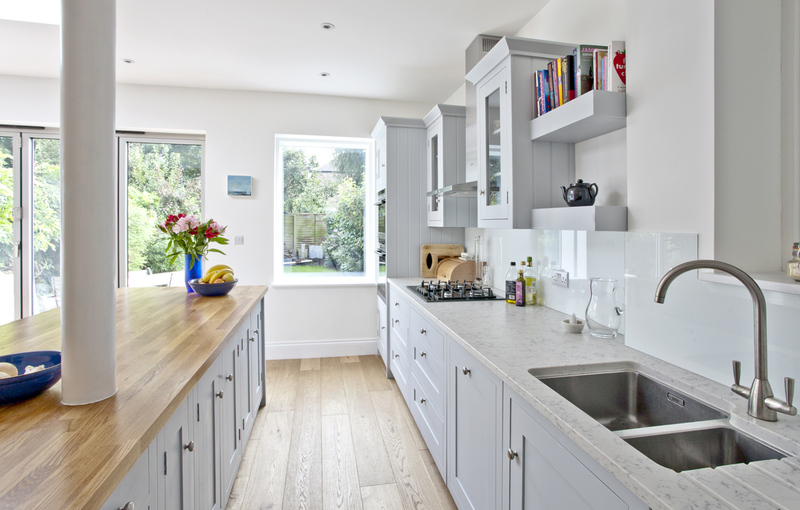 This gives the family a great workspace area for cooking and food preparation, as well as somewhere where the children can do their homework and the family can socialise with friends.